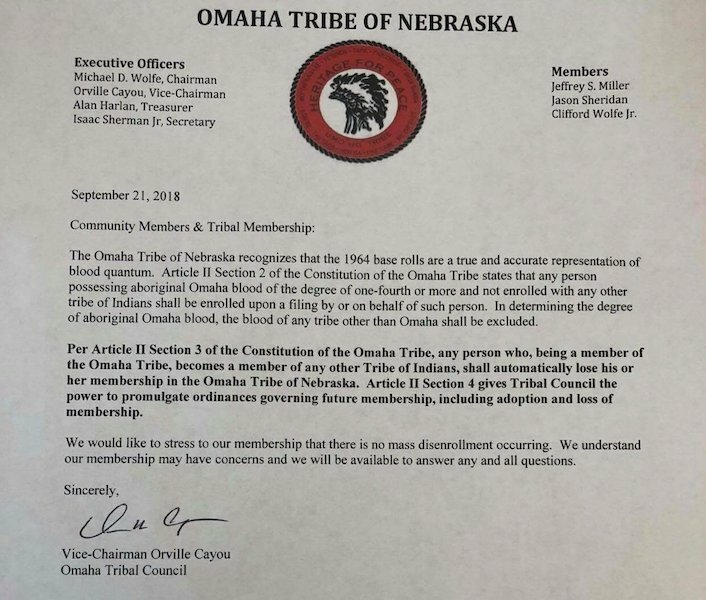 Original Pechanga's Blog: OMAHA TRIBE DENIES "MASS DISENROLLMENT"
If it was a SHOOTING of 17 people...it would be a MASS SHOOTING, why isn't THIS a MASS disenrollment? DUE PROCESS, Omaha don't need no STINKIN' DUE PROCESS, right BIA? What you said was right! Just like Robert Smith told the people of Pala that no one was getting disenrolled that the EC was just updating there files. And the next thing was 162 true Native Americans with solid proof that they belong on the Tribes Roles are ousted by Smith and Nieto. So don't believe your corrupt leaders get them out before they destroy your entire Tribe. Really such a great blog dear showbox download apk Thanks for sharing this amazing post.